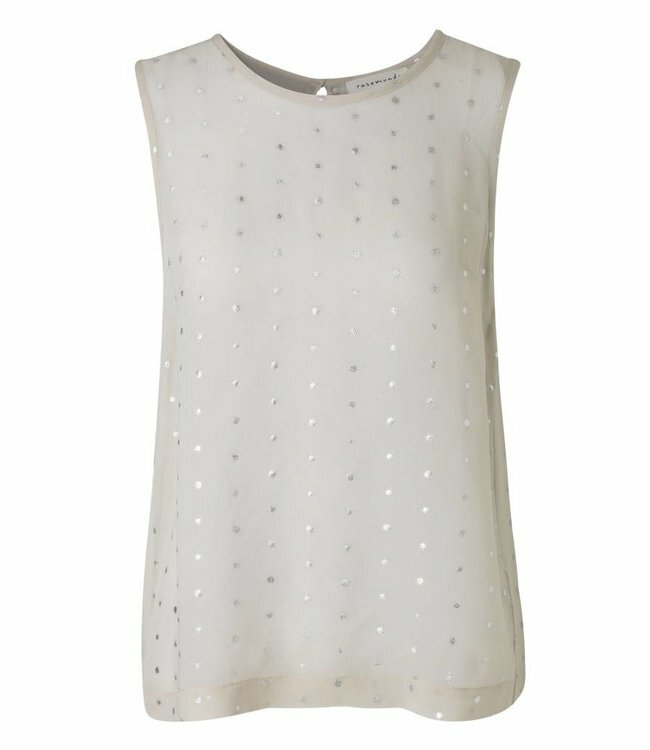 Elegant top, sand-coloured, with subtle silver dots. The top is fitted and loosely draped towards the hem. It has a round neckline and a button at the back. Team it up with any trousers or a skirt to create an elegant everyday look.